Midnight Bisou won the 2018 Cotillion at Parx Racing. Photo by Allison Janezic. An opportunity for Maryland’s horse lovers is arising, Parx Racing shares big plans, and a grassroots movement takes off. A fun and unique experience is looming in the horizon for Maryland’s horse lovers. The opportunity to explore select thoroughbred farms in Baltimore, Cecil, Fredrick, and Harford Counties will take place on Saturday, May 11 for the Maryland Thoroughbred Horse Farm Tour. Some of the farms available to tour are GreenMount Farm, Sagamore Farm, Country Life Farm, Shamrock Farm, Northview Stallion Station, and Summer Wind Farm, just to name a few. Visitors will be allowed to tour the select horse farms from 11am to 3pm. Tickets for the event are not required but are available online in order to give each farm an idea of how many guests they can expect to pass through. Parx Racing announced their big plans for the season on social media over the past week. They spread the news that they are planning to have not one, but two major days of racing at the track this year. The track will hold their usual highlight of racing with the Grade 1 Pennsylvania Derby and Grade 1 Cotillion Stakes on Saturday, September 21, and will include a card with 7 stakes races. The track also aims to expand their festivities for Labor Day Weekend and is prepared to make their “Smarty Jones Day” bigger than ever before. 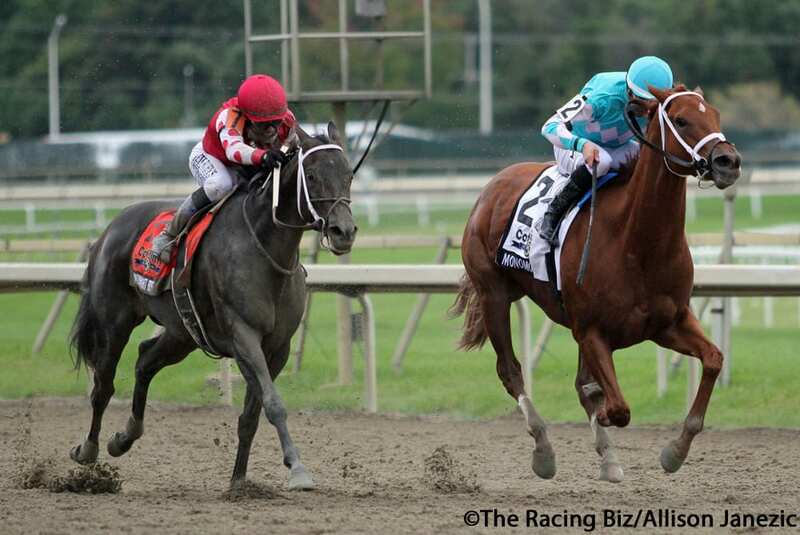 The expanded festivities for the big weekend at Parx will include the $350,000 Smarty Jones Stakes, which locals affectionately refer to as “Smarty Jones Day.” The Grade 3 Turf Monster Stakes will be run on the undercard, along with the inaugural running of the $150,000 Cathryn Sophia Stakes. Four MATCH series races will also take place that weekend. The MATCH series will be made up of the $100,000 Bensalem, the $100,000 Roamin Rachel, the $100,000 Neshaminy, and the $100,000 Sal DeBunda PTHA President’s Cup, making it a day filled with stakes action. Horse racing has long been a sport surrounded by a critical eye, and the aftermath of the recent 22 equine fatalities at Santa Anita Park during their current meet has made that truer than ever. But over the past week, a grassroots effort — not dissimilar to what Dr. Jennifer Durenberger suggested at Laurel Park March 22 — has grown that may help put the sport in a more positive light: I am Horse Racing. The proposed movement will highlight different areas of the sport, such as the care that grooms put into their horses, as well as the devoted efforts of breeders, trainers, riders, and more. There are high hopes for this effort, aiming to show the public a different perspective on the sport by sharing the lives of those involved. Horse lovers from all sides of the sport are uniting to speak up about the love, care, and dedication that they pour into their thoroughbreds every day and are sharing their stories with the world through social media.